I worked on Wednesday’s post until early Thursday morning and didn’t go to bed until after 3:00 AM. I woke up at 6:00 AM to the sound of Claire’s roommate making breakfast. He was extraordinarily noisy and there was no way I was falling asleep while he was cooking. 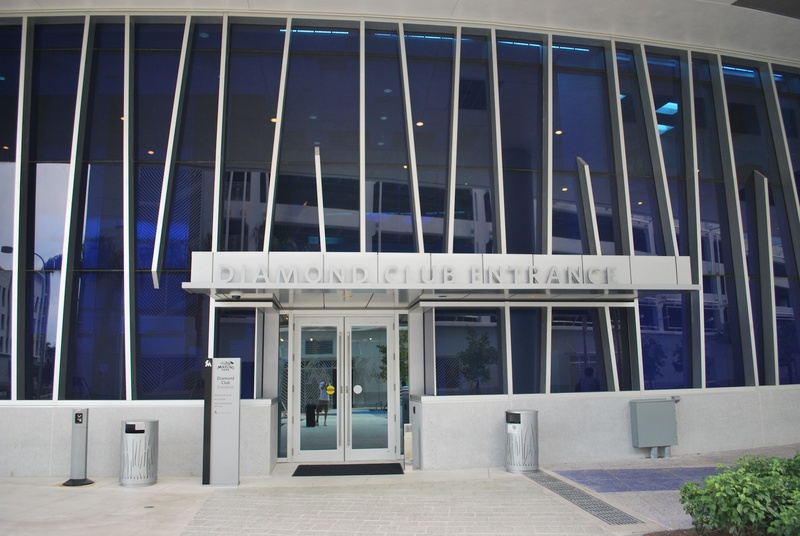 It comes with the territory though and I’m still grateful that I was able to stay with my sister’s friend’s cousin in a nice penthouse in downtown Miami. I think I was able to fall back asleep sometime after 7:00 and got another hour or so of sleep. Bond, Claire’s boyfriend, had said he could take me to the ballpark and we left at 10:45. 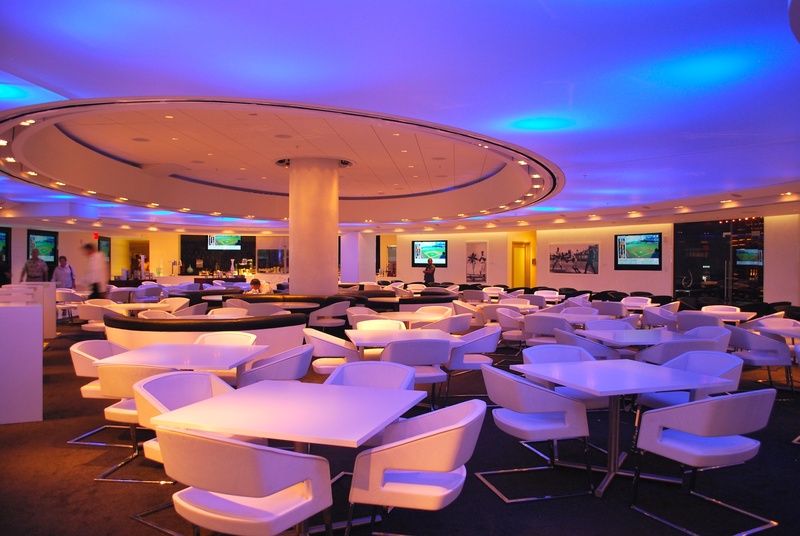 I had been hoping to get the stadium at 11:00 to take advantage of the food in the Diamond Club. We missed out on going over a drawbridge by about 30 seconds and we were stuck waiting for 15 minutes. I would get frustrated living there and getting stuck on my morning commute or on the way home. Bond says he tries avoid driving if he can for that same reason. 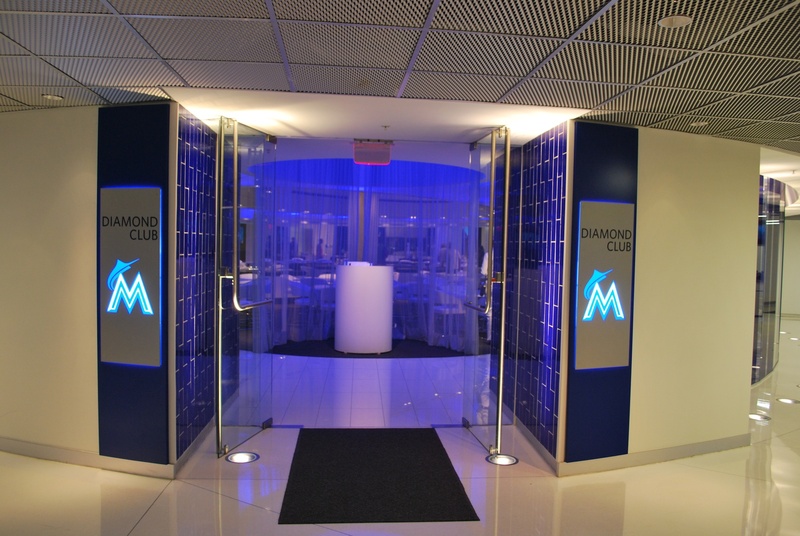 I was outside the Diamond Club Entrance at 11:16. I dropped off my suitcase (thanks Angela!) and then walked around. 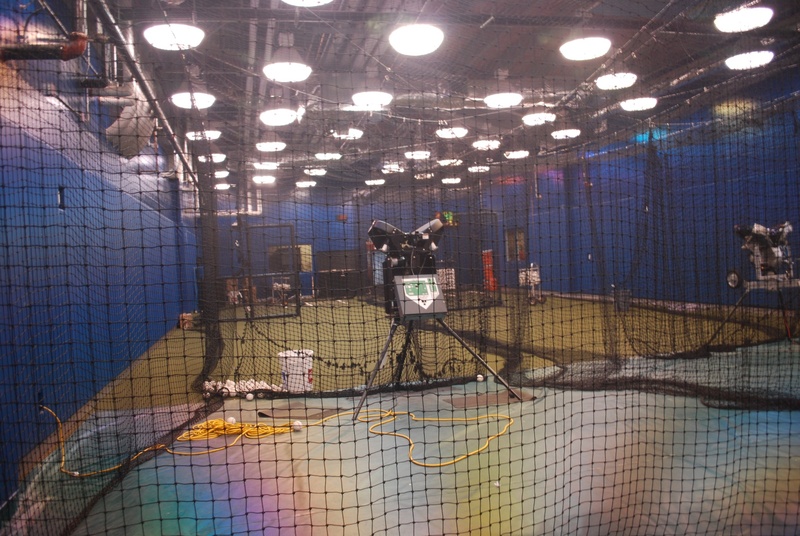 The Marlins batting cages are visible through a wall of glass on the third base side of home plate. 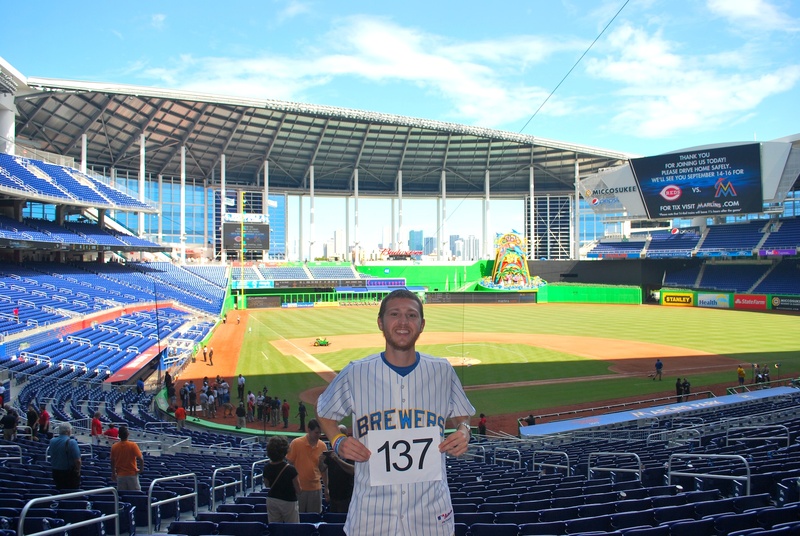 I went to the seats in centerfield to get game photo number 137 taken (shout out to the self timer function). 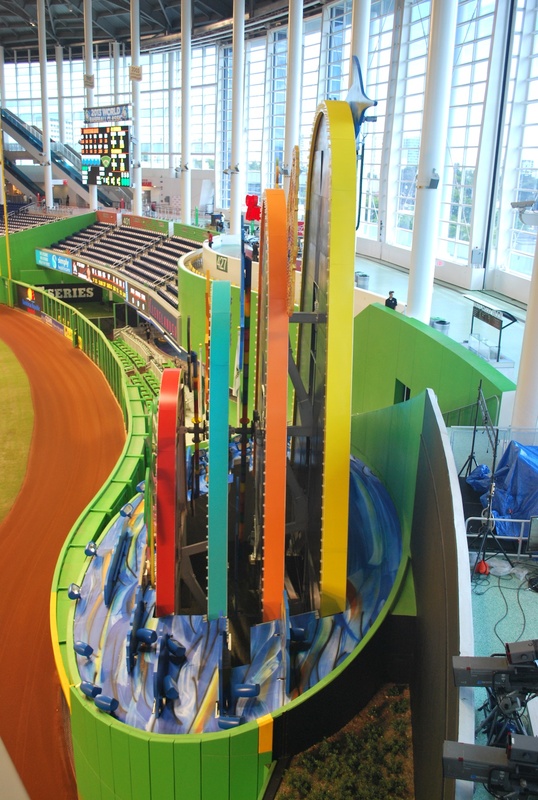 Rotating the camera to the right gives you an up close and personal look at the home run sculpture from the side. I walked up and over to the corner of the upper outfield seating area. This point is 448 feet from home plate. 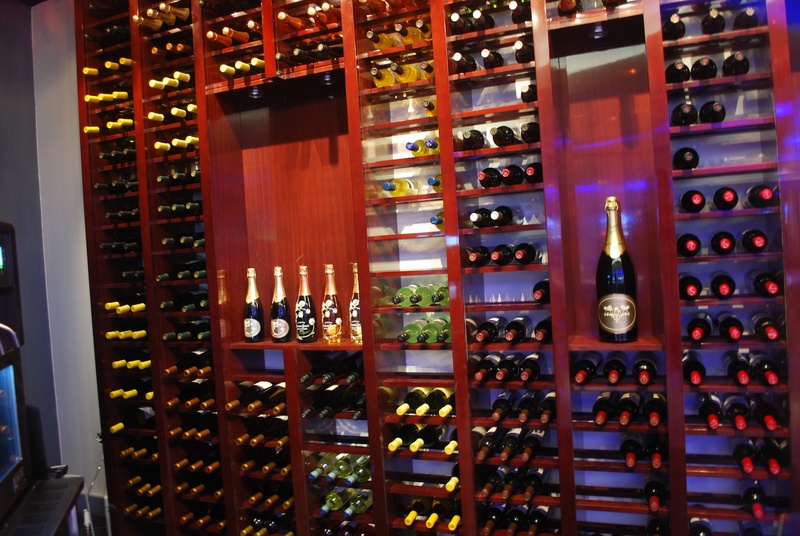 Inside those doors is the dining area, which you can see below. On the far wall the food is served buffet style. There were too many choices to describe them all but I got a bunch. 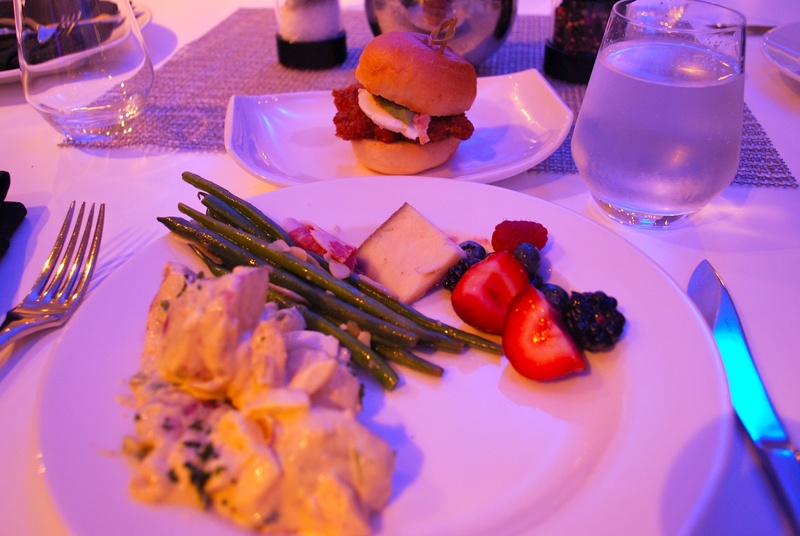 With my first plate I got some potato salad, green beans, a piece of cheese (that I didn’t like), some fresh fruit, and a monte cristo chicken sandwich. These pictures may have a strange hue because I took them without the flash (for the sake of not being an annoying tourist to the other Diamond Club visitors). 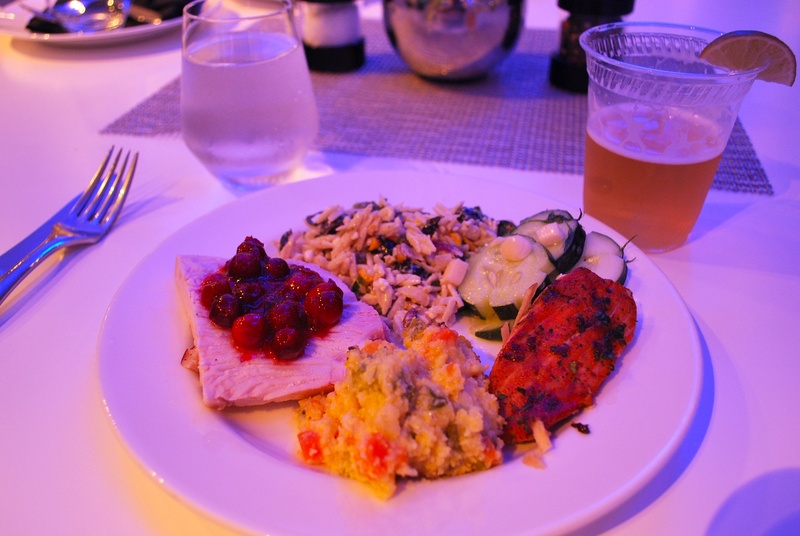 With my second plate I got carved turkey with cranberry sauce, pasta salad, cucumber salad, seared salmon, and the stuff in front that I can’t remember what it was. 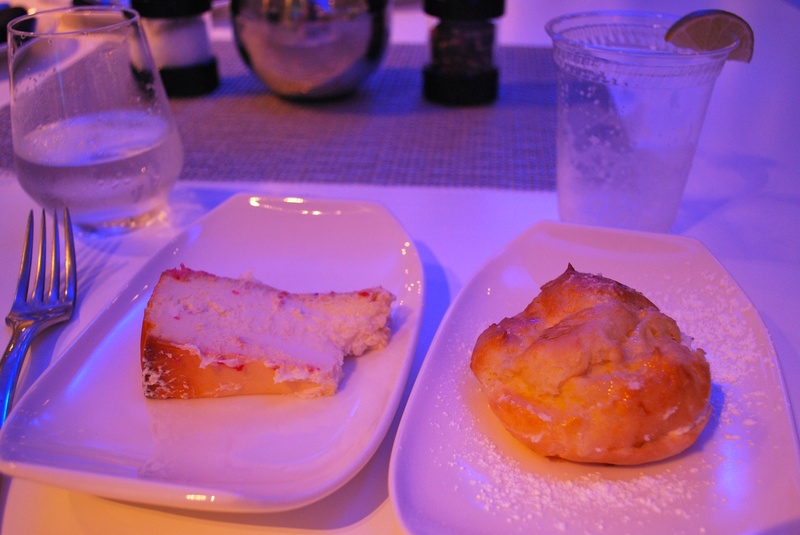 On my third trip up I went with two desserts; a slice of “Wisconsin Cheesecake” (Yezzzzzir!) and a “State Fair Cream Puff”. The game was scheduled to start at 12:40 and I got the desserts at 12:34. I quickly scarfed down the cheesecake and cream puff and went out to catch the first pitch. I made it in time to see Josh Johnson deliver a ball to Aoki. Marco Estrada started for the Brewers and got into trouble early. Here he is pitching in the 1st inning. 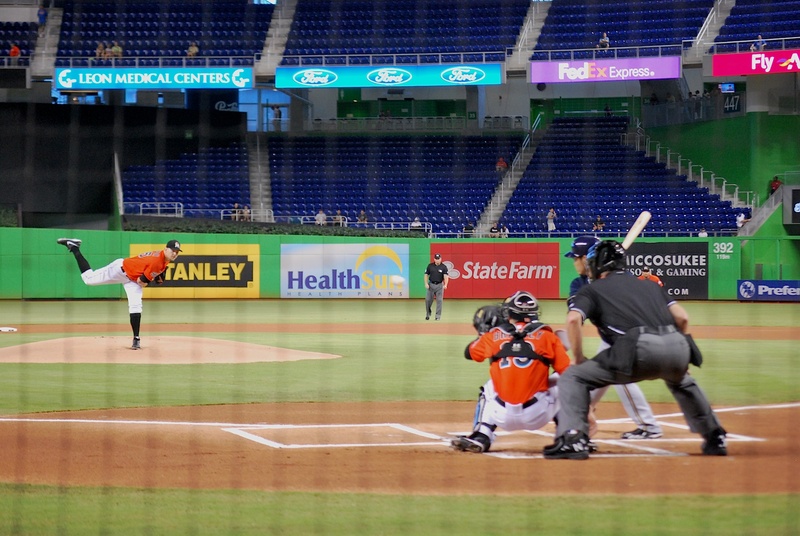 By the end of the 1st the Marlins had scored three runs and in the 2nd they added another run to make it 4-0. In the top of the 3rd Braun hit a sacrifice fly to center and the deficit was back at three. The RBI was Braun’s 99th of the season and he needs only one more for 5 straight 100 RBI seasons. If it weren’t for his glove at 3rd base he would’ve been in the majors earlier during the 2007 season, making it six straight (he had 97 RBI in just 113 games that year). 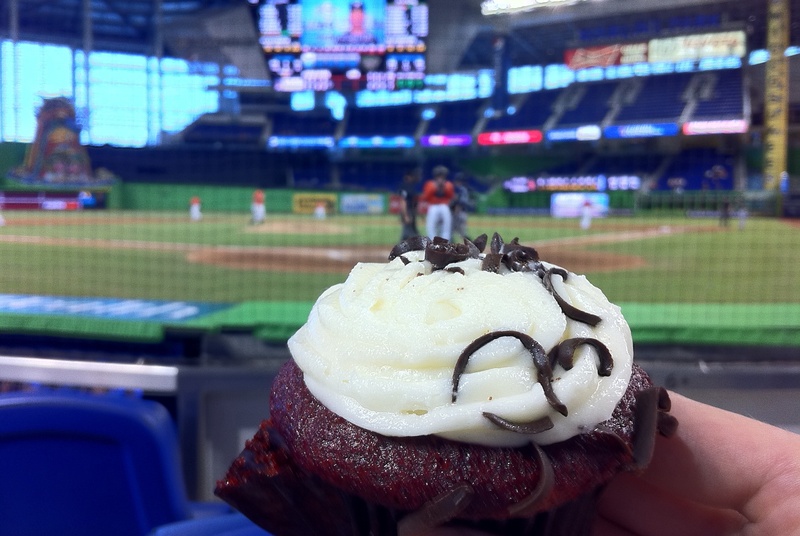 At some point between innings I went back into the dining area, went to the bathroom (yes, I washed my hands) and grabbed a Red Velvet Cupcake on my way back out to the seating bowl. In the top of the 6th Braun bunted with one out and reached first on the single. 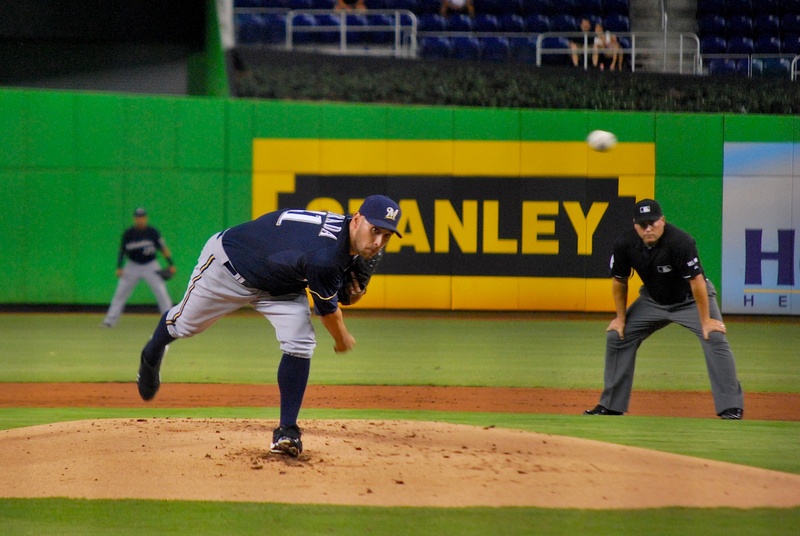 Braun doesn’t bunt often but Josh Johnson was pitching a great game and he was trying to get a rally started. Unfortunately it fell short and the Brewers didn’t score in the 6th. 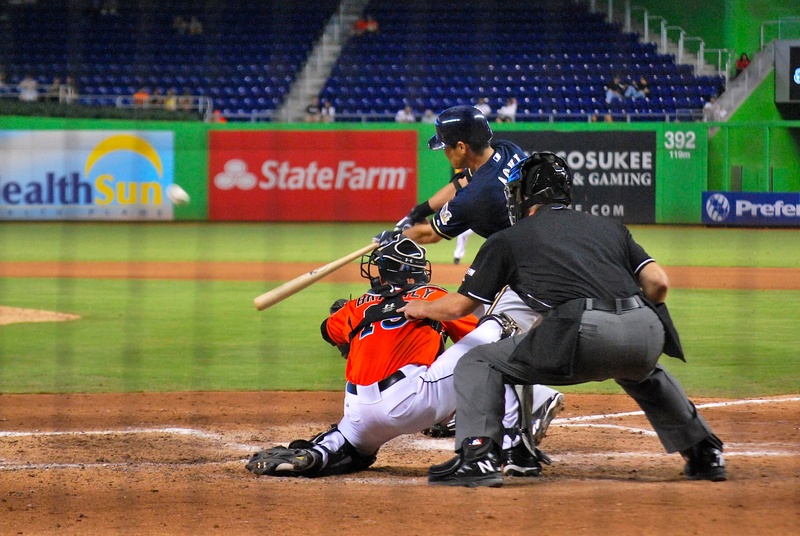 In the 7th an Aoki sacrifice fly scored Bianchi and the Marlins’ lead was now 4-2. 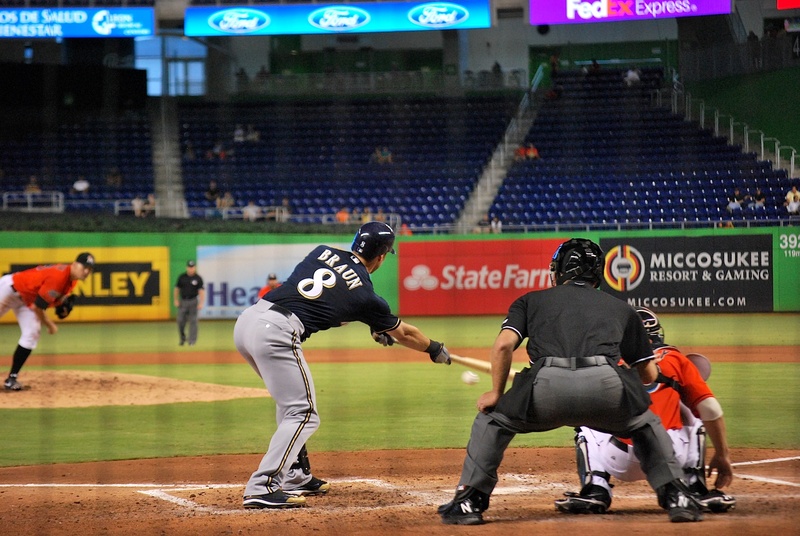 The 8th inning saw the Marlins add two insurance runs and the Brewers went quietly in the 9th. 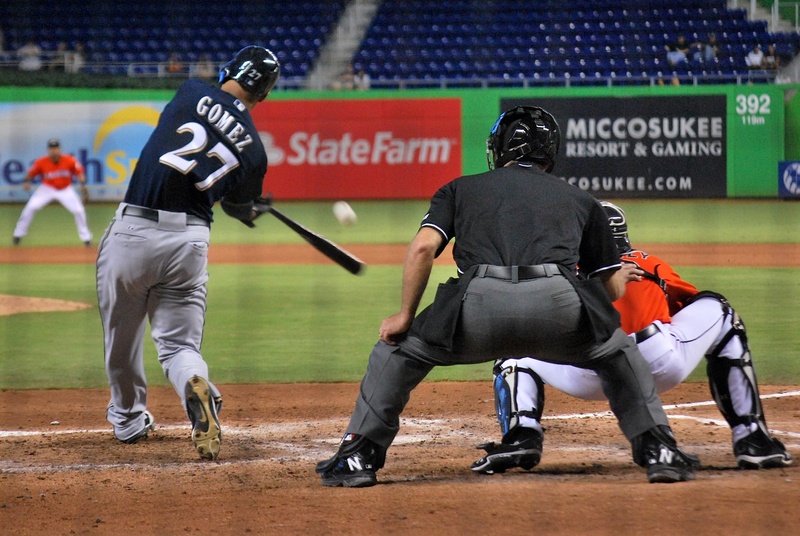 Final Score: Marlins 6 – Brewers 2. The Crew had plenty of chances to score some runs but went 0 for 7 with runners in scoring position (men on 2nd or 3rd). They split the series 2-2 and it would’ve been nice to get 3 out of 4. The Brewers are going to need to work some magic down the stretch. I’m thinking if they get to 89 wins they might have a shot, but that means they would need to win 22 of the final 25 games. Doubtful? Yes. Impossible? Never say never. Sweeping the Cardinals in St. Louis would do wonders but there are other clubs to pass as well. After the game I stuck around for a bit and got some pictures of the roof and the panels opening. 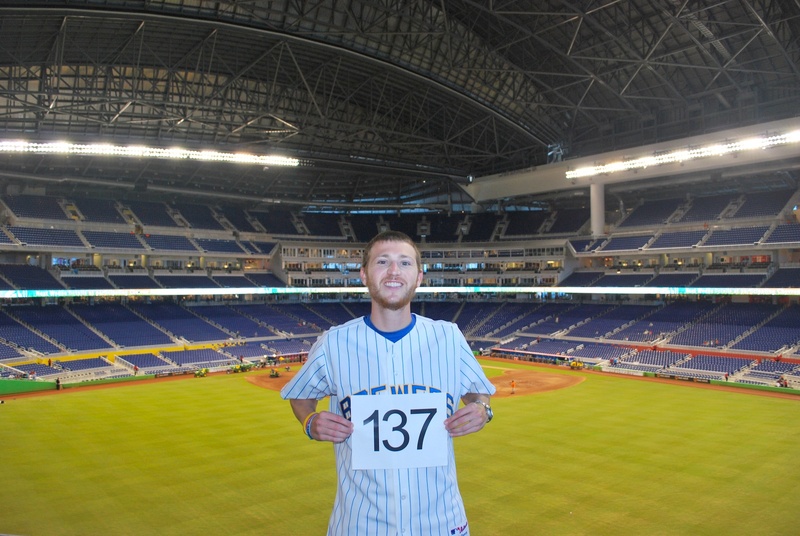 I also got another game number photo taken. 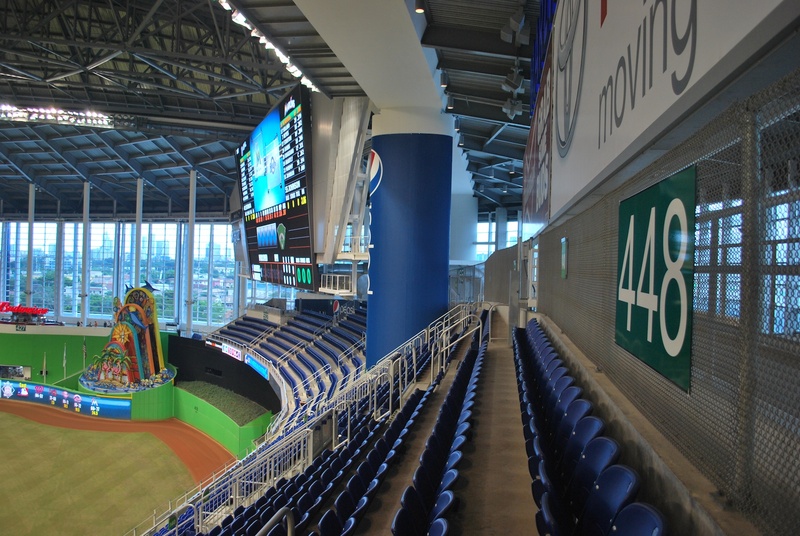 I like that the roof is open but I already have two game number pictures from behind home plate (135 from the upper deck, 136 from the field). What’ya think for the final slideshow, the one up top or the one below? I know the one with the roof open is a better picture, but you have to take the other pictures I took during the series into consideration. Tough call. After getting some pictures I called Angela on the outside chance that someone in the Marlins office might live near the airport or be heading that way. She said she was actually flying to D.C. and another coworker (Joanne) was giving her a ride. Nice! We actually took Angela’s car and then Joanne took it back to the garage at the stadium. Thank you Angela! I got to the airport at 5:00 even though my flight wasn’t scheduled to leave until 8:50. It had originally been an 8:10 flight but in July I got an email saying that the departure time had changed. 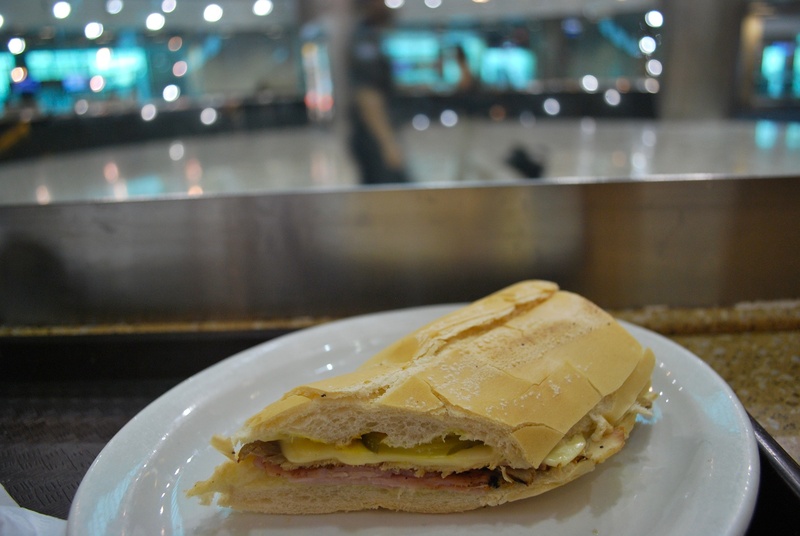 I hadn’t consumed a Cuban sandwich while I was in Miami so I got one in the airport. It’s probably not the same as what I would’ve gotten in Little Havana, but it was still pretty good. The flight wound up being delayed and didn’t take off until after 10:00. Awesome. In all I spent four hours and 37 minutes in the Miami airport. The flight landed at 10:25 (central time) and I was at my car 30 minutes later. A short 15-minute drive to my Aunt and Uncle’s place in St. Charles and it was bedtime. I’m staying at the Hilton St. Louis Downtown the next two nights and I’ll be detailing my visit in Friday’s post.